Gamora’s Godslayer – Guardians Of The Galaxy – I lost track of the “Man at Arms” show for awhile. It turns out they’ve rebooted it as “Man at Arms: Reforged.” The original show saw Tony Swatton use forging, blacksmithing, and metalworking techniques to build real metal versions of movie and video game weaponry. The new show is the same, just with a different shop. 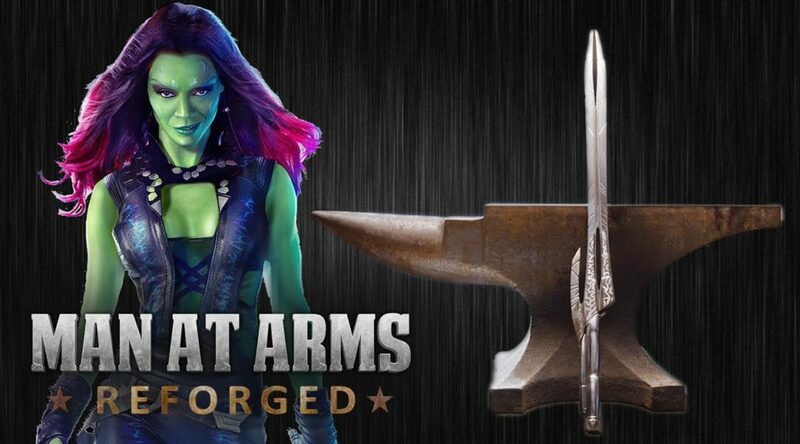 I have a lot of episodes to catch up on, but I definitely wanted to share this one where they make Gamora’s sword from Guardians of the Galaxy, since it is such a cool blade. You can pick up a lot of techniques by watching them work. Twin Cities actor blows the whistle on ‘unsafe’ theater production – The production of “Medea” at the Lab Theater in Minneapolis is described as having a three-to-four thousand gallon pool with a 30 -foot long exposed electric circuit along the drip edge. I can’t quite picture that in my head, but it was scary enough to get the actors to call Equity and shut the production down. The Creature and Special Effects of Alien: Covenant! – Adam Savage’s new life involves visiting every movie set and playing with their props. It’s not a bad gig. 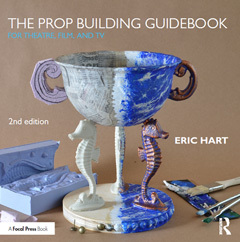 Plus, as a former model-maker/prop builder, he knows what kinds of questions to ask to make these videos more informed than your typical “behind-the-scenes” featurette that’s slapped together at the last minute. Tips of the Week: Wire Splicing, Table Saw Router, and Flea Market Brainstorming – Make Magazine publishes a short list of tips and tricks every week, and I found this week’s collection particularly useful.